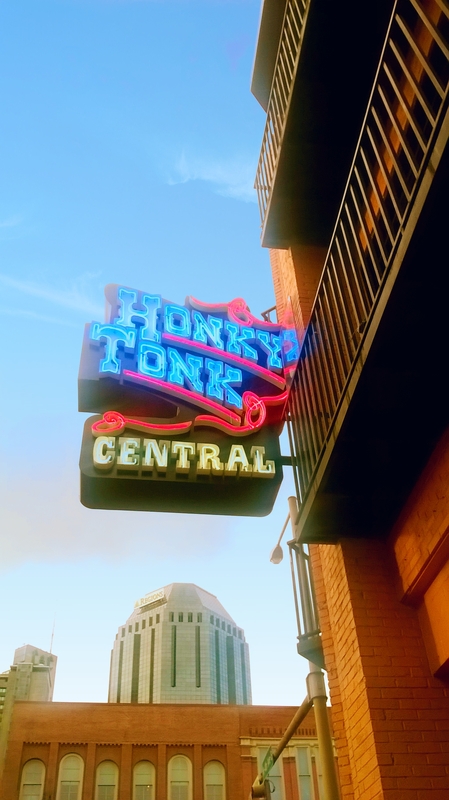 The home of country music, Nashville, Tennessee was the natural next stop on our trip. Only three and a half hours from Asheville we once again continued the so far successful Craigslist option of rideshare to our chosen destination. Along the way we contemplated a short stay at Pigeon Forge, the site of Dollywood theme park created by, of course, Dolly Parton. Unfortunately rideshare and car rental options were very limited so we continued on to Nashville. Johnny Cash and Dolly Parton?? We would stay in two apartments during the ten day stopover. 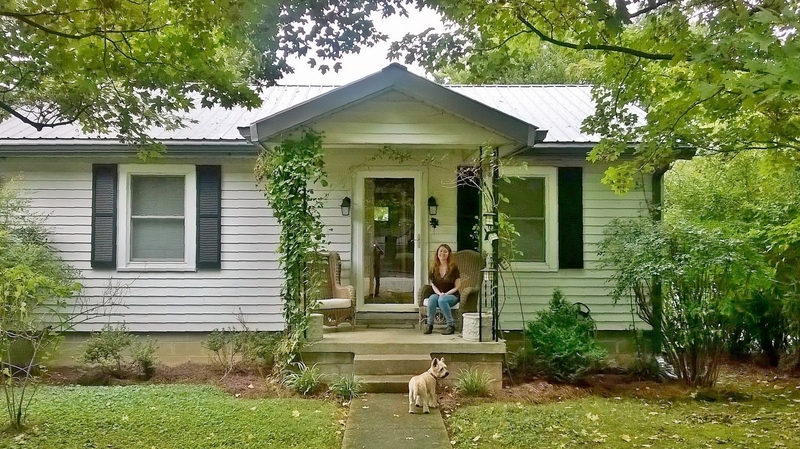 Firstly in East Nashville for four nights then to the better positioned Woodbine area with easier walking distance to shops and restaurants for the duration of our stay. 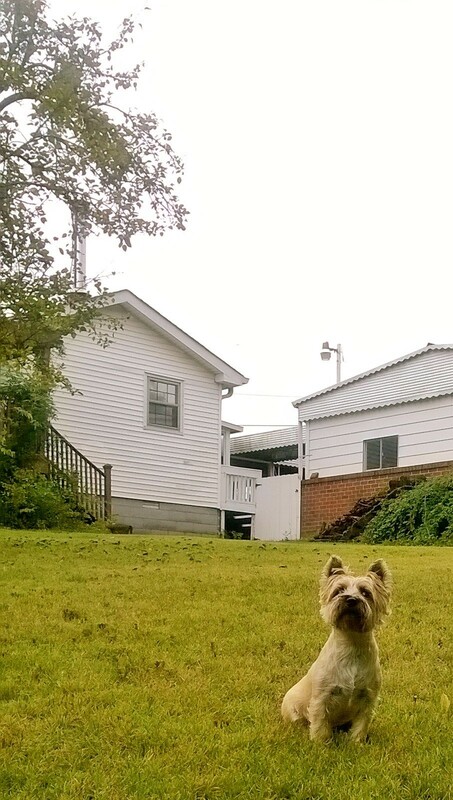 East Nashville was very limited in terms of activities and eateries and was a little too far out of the way without the use of a car, though Hamish enjoyed the large back yard to explore and once again squirrel hunt. There was also a bus stop within a few yards which took us downtown to the main tourist areas and a thoroughfare of restaurants and bars. We chose this option only once as Hamish would have to be confined to his carrier for the duration of the twenty or so minutes journey. Within the downtown area almost every bar entertained customers with live music and Southern fare. 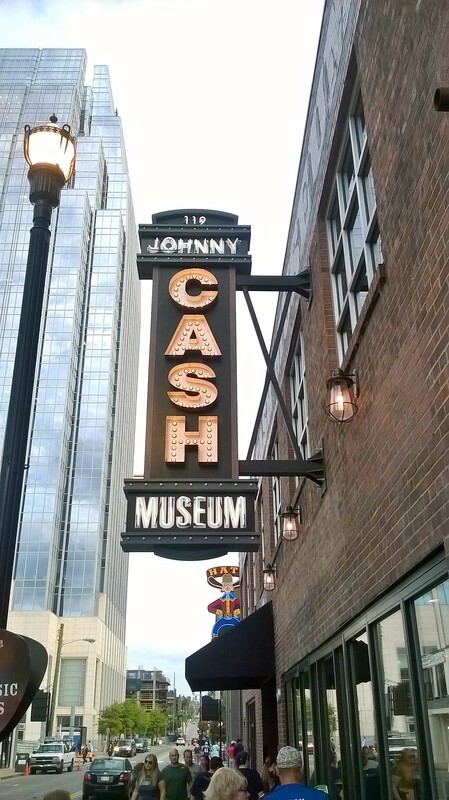 There was also the Johnny Cash Museum for those wishing to pay homage to the legendary singer. Woodbine had a greater choice of restaurants and was just within walking distance of areas such as Berry Hill and The Gulch, both boasting some excellent shops and eateries also. Our apartment here was in the traditional Southern style, boasting furniture and decor to compliment the suroundings, including a record player with a choice of LP’s for our use. It also boasted the most comfortable bed we’ve ever slept in, to which we took full advantage with early nights and late mornings. 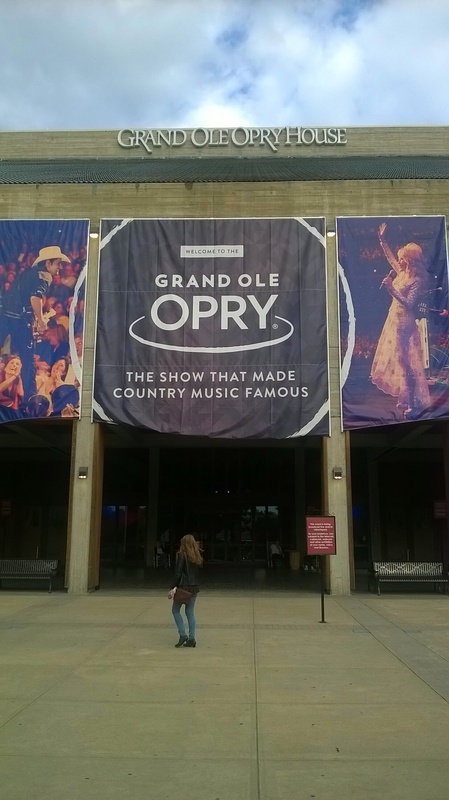 The main attraction in Nashville is The Grand Ole Opry, Home of Country Music. It runs shows in the evening during week days, and at weekends there is three performances each on Saturdays and Sundays with six acts playing every show. It’s also a live radio show beamed across the world for fans of Country music. So far this has been the highlight of our trip and for forty dollars each represented excellent value for two hours of quality entertainment. Not having to work as yet on our travels has meant time has not been a main concern and we had been in Nashville for almost a week without realising we crossed into Central Time USA. This meant we were a further hour behind and now -6 UK time. This didn’t really cause any issues and luckily the only slight misfortune was we were an hour early for a coffee date. And its always better to be punctual right….? 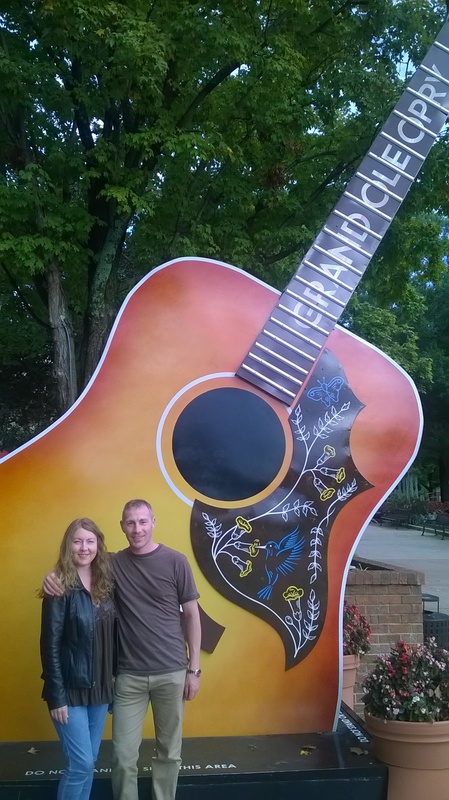 We enjoyed Nashville and though during our stay the weather was wet and at times cold we have become accustomed to the sun very quickly and longed for its return. Luckily we’re in a part of the world where its not too far away and it was soon shining upon us once again. A theme which would continue to our next destination, Memphis – home of The Blues and birthplace of Rock ‘n’ Roll.